BT uses the Vodafone network for their mobile services in Spain. To get an idea of how good our coverage will be either test it with a Vodafone phone of follow the instructions below. Please Click here to check the coverage on your area. 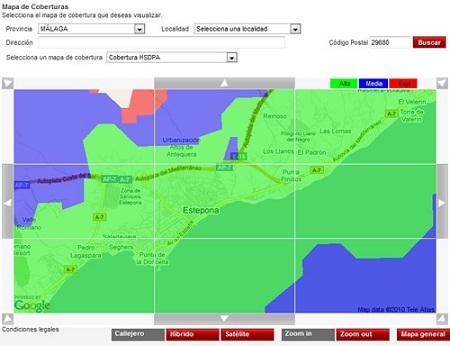 Click on the drop down box (selecciona un mapa de cobertura) and choose the type of coverage and then to the right of the screen enter your post code (codigo postal). Finally click "Buscar". This will then show the coverage in your area.